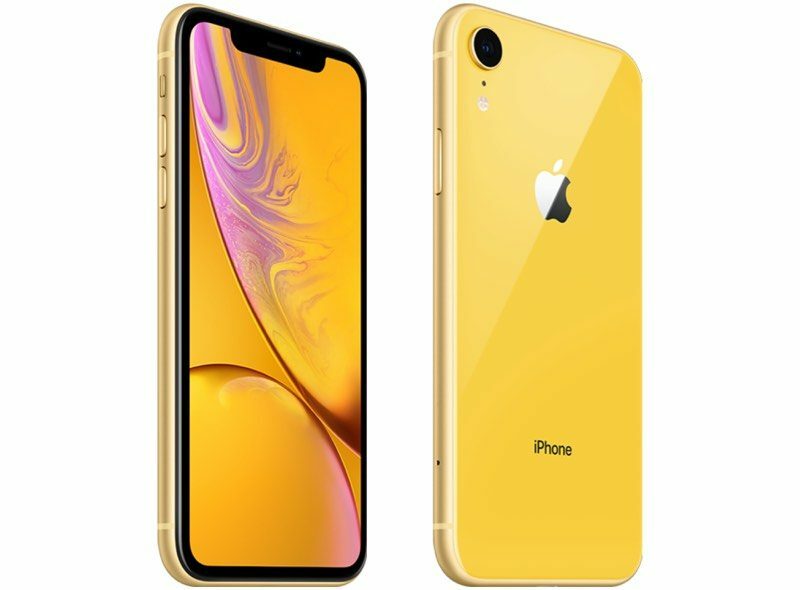 The next-generation iPhone XR will feature a 4x4 MIMO antenna design, according to a Barclays research note obtained by MacRumors. 4x4 MIMO, short for multiple-input, multiple-output, has the potential to significantly improve LTE transmission by increasing the number of data paths between cellular towers and a mobile device to four. Simply put, the next iPhone XR would feature four antennas, allowing for faster data speeds. iPhone XS and iPhone XS Max models feature Gigabit-class LTE with a 4x4 MIMO antenna design, while the current iPhone XR supports 2x2 MIMO. A few months ago, PC Magazine reported that the iPhone XS and iPhone XS Max have "significantly better" LTE performance than the iPhone XR based on testing conducted by Cellular Insights and Rohde & Schwarz. The difference was especially noticeable in weak signal conditions, the results indicated. Of course, regardless of how many antennas an iPhone has, data speeds can be affected by factors such as network congestion, distance from the tower, physical obstructions, environmental conditions, and interference. I for one hope Apple get crushed in their next few quarterly reports with their price gouging. -Budget iPhones more expensive than flagships a couple of years ago. -"Entry level" Mac minis that cost as much as VR gaming rig or just a couple of hundred shy of an iMac. -$500 Price hikes on MBP for no reason. -99 Cent "Free trial" for Apple music. Sounds nice and all, but I’d rather they keep improving Liquid Retina over anything else. As an epileptic, the OLED screens (especially with all the flickering) simply aren’t an option for me. Liquid Retina is marketing babble for rounded corners. Apple could have easily specified the high PPI they've used in the plus series of phones for the last four years. They cheaped out and jacked the price. You got ripped off. Let’s hope it doesn’t bring a weaker signal like the XS/Max users are complaining about with the same antenna configuration. The XR for me so far has been fantastic for signal even outperforming my X. They keep insisting on this mediocre phone... unbelievable! Agree about the OLED. Wish there were an XS with an LCD like the XR. If I were you, I’d go with the 8. It’s one generation older CPU, but 3D Touch and Touch ID outweigh the performance improvement you’ll never notice between the A11 and A12 IMO. While I haven't run into issues with network performance, its good to see Apple looking at improving things wherever they can. Its a great phone for the money ($50 cheaper than the smaller 8 Plus was last year). Went from a 8 Plus to the Xr. Better camera performance (other than the high light level zoom on the Plus), better battery performance and bigger screen is really nice - and its just a hair narrower so it fits in your hand better (plus $50 cheaper than the Plus was last year). FaceID becomes second nature. Downsides to me (for all X phones) are that the UI consistency takes a hit without the home button (stuff that just worked before is different...Press and hold power button to turn it on, but now press and hold power button to turn off brings up Siri - which you can disable but still won't turn off the phone, requires a double button hold to do that, but if you do that double button and not hold long enough it takes a screenshot...there's a good bit of that, might be the way of the future but doesn't make these kinds of things less annoying). If you want to go cheap, you get cheap. Just because it’s not laughably overpriced that doesn’t make it “cheap”. At this price it’s anything but, especially out of the US bubble. Are you sure they will launch another iPhone XR? What did you do before Apple released the SE?